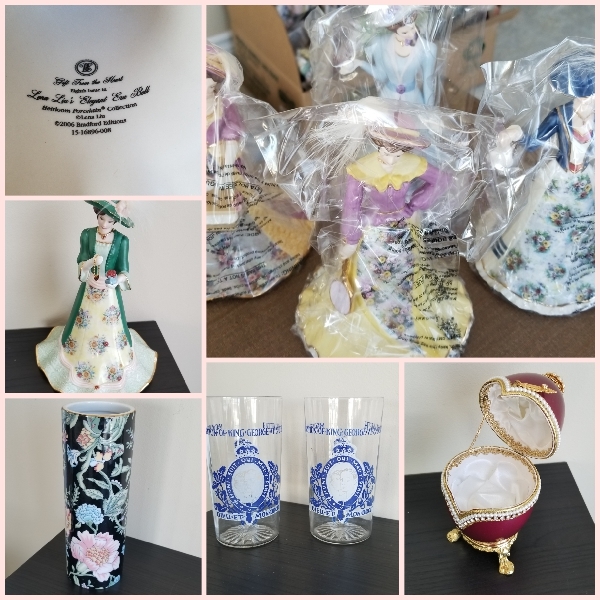 This sale has a large assortment of Bradford collectibles, assorted China pieces and beautiful Crystal pieces. All the items are pictured below. If you are interested please contact April by email or phone. Items available for pick up on Monday November 12 between 10:00 am & 12:00 pm. 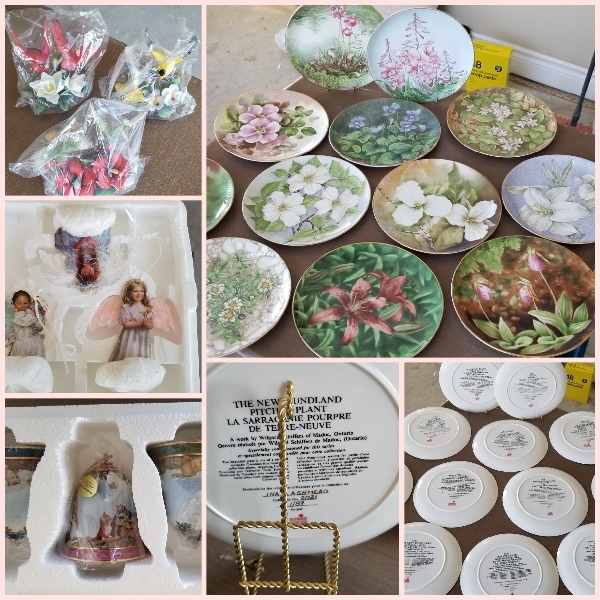 Bradford plate collections and an antique set of China! Bradford items at this sale still have their original packaging! Perfect condition, new & in their original boxes. Beautiful collectibles. Complete your set or start collecting!